Could this be the biggest Melbourne derby ever? 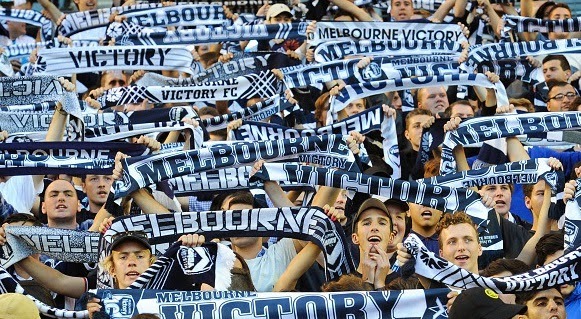 Home » AUSTRALIA A LEAGUE » Could this be the biggest Melbourne derby ever? It’s always an easy question to pose considering it’s the one that’s right in front of us, but all the available evidence presents a compelling case. For the first time, in what is the 15th meeting between these sides, both sides are entrenched in the top six when they meet. For the last four seasons when one has been up — usually Melbourne Victory — the other has been down. But the only time Melbourne City have made the finals, Victory suffered perhaps their worst season in memory and missed out. Both teams are in form. Victory are undoubtedly challenging for the highest of honours. Kevin Muscat’s men are a $3.50 title favourite with TAB after being bundled out in the preliminary final in the past two seasons. They’ll be smarting, too, after coughing up a late 3-1 lead to draw 3-3 with Perth in their last game. City, on the other hand, are starting to tick along nicely. There have been false dawns before. So could this Melbourne derby be the biggest ever? Let’s now hope the combatants deliver in front of a huge Etihad Stadium crowd.